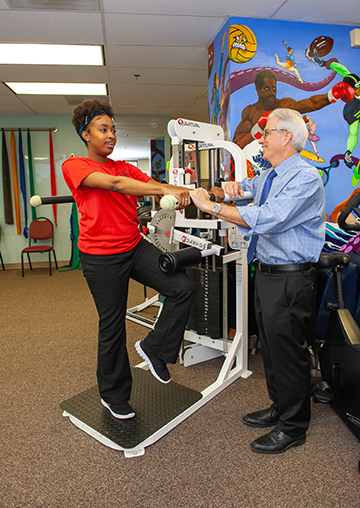 Founded in December 2004, Bethesda Physical Therapy was launched by Al Brodnick, a respected therapist who has been practicing in the Washington, DC metropolitan area for over 30 years. Al opened the practice with the purpose of establishing a "personalized approach" toward rehab and physical therapy and is committed to offering the highest quality of physical therapy care. Bethesda Physical Therapy is committed to providing high-quality outpatient physical therapy services in beautiful state-of-the-art facilities. As a healthcare leader, we partner with groups and events within the communities we serve. We are strongly focused on continuing education for our physical therapists; thereby ensuring they understand and put into practice cutting-edge treatments and rehabilitation techniques available for all types of injuries and conditions. At Bethesda Physical Therapy, our goal is to work with you and your physician to ensure a timely recovery from your injury. At our facility we employ many approaches to meet each patient’s needs. These may include a variety of traditional healing techniques which emphasize a hands-on approach and may include procedures such as both joint and soft tissue mobilization, muscle energy techniques and other forms of manual therapy. Individualized exercise programs and protocols are established for improving range of motion, flexibility, strength and endurance. We also used traditional therapies such as ultrasound, electrical stimulation and traction. We incorporate state-of-the-art equipment for strengthening, joint proprioception and sports specific rehab, all helping to make a unique physical therapy environment.